The Musicant Group helps you achieve your goals through one-time community events, or "block parties with a purpose". We'll help you conceive of, organize, promote, and execute outdoor events in (often nontraditional) spaces that bring the community together for a common cause. 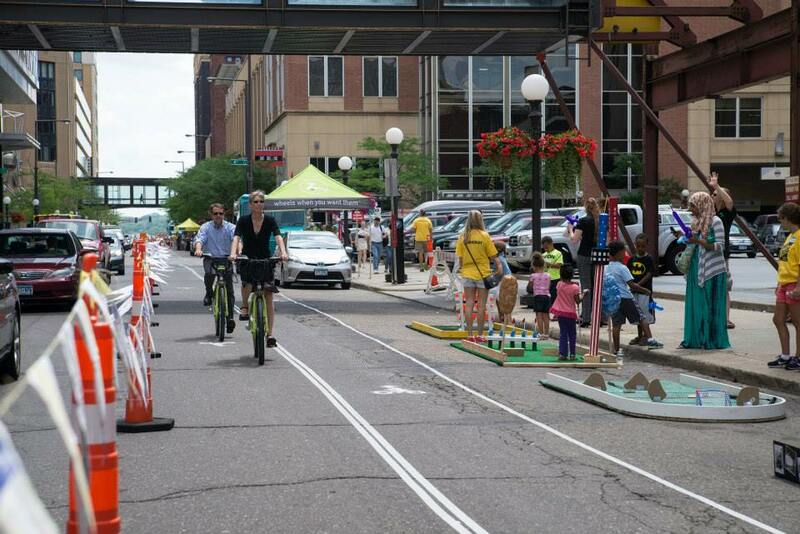 In July of 2014, The Musicant Group was retained by St. Paul Smart Trips and Wabasha Partners to plan and produce an Open Street event in the heart of Downtown St. Paul in an effort to advance their advocacy of pedestrian improvements, a downtown-wide loop of protected bike lanes, and boost retail sales and recruitment efforts. 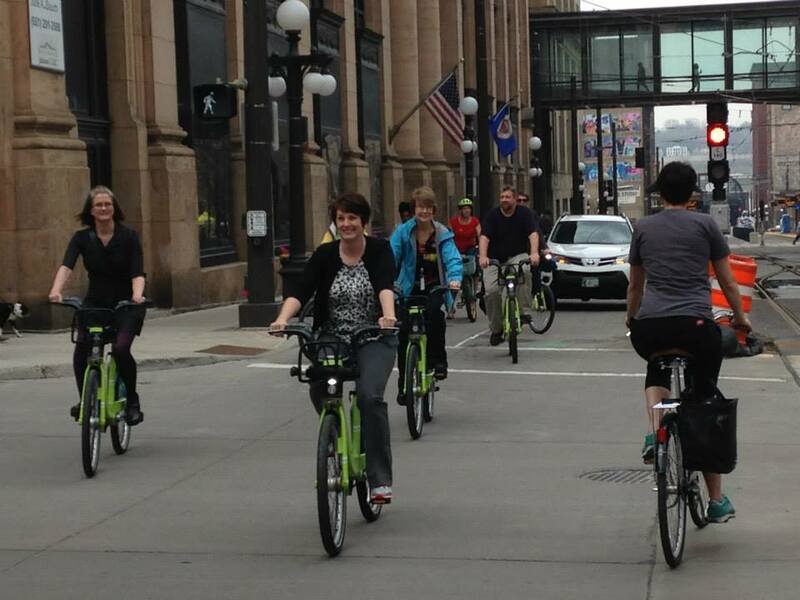 The event drew over 5,000 visitors over the lunch hour and led to the passage of the Downtown St. Paul bike plan! 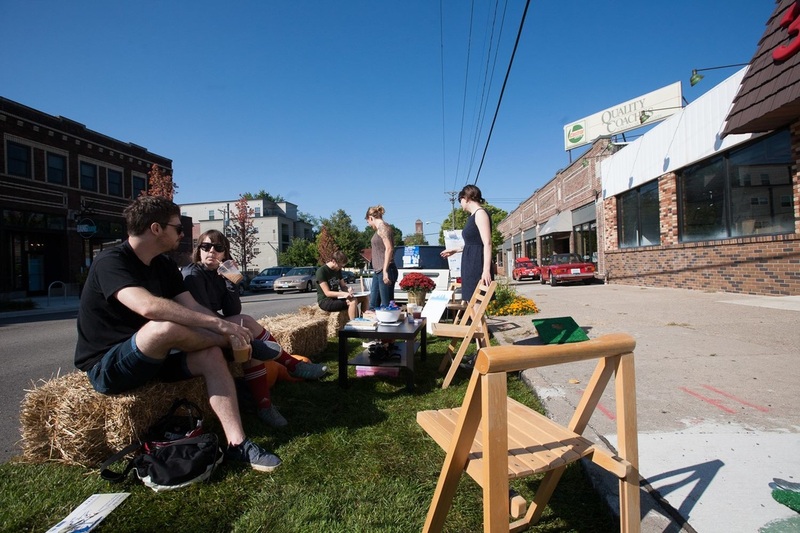 For two years, The Musicant Group partnered with the business association Experience Southwest to produce the largest PARK(ing) Day celebration in the Twin Cities. 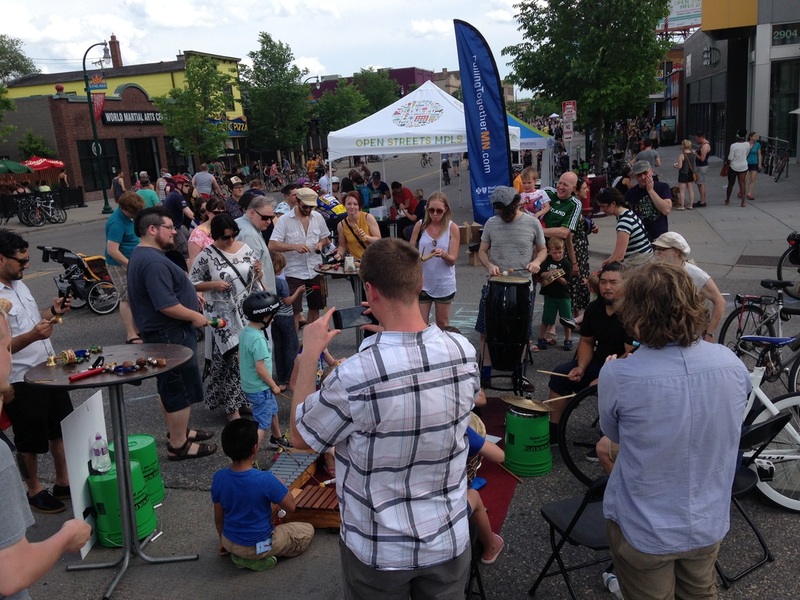 At nine locations in front of businesses across Southwest Minneapolis, parking spots were converted into public spaces as part of the annual international celebration. The event led to a measurable increase in the number of pedestrian and bikers traveling between the retail nodes, exposing stores to new potential customers through the publicized enhancement of the public realm. Create Yourself Youth Fairs came from a collaboration with the Minneapolis Youth Coordinating Board to create a place for hundreds of youth to celebrate themselves and think about who they want to become. For two summers in a row, these events were held at Target Field Station and gave young people a chance to create, talk, and celebrate with local inventors, creators, and designers from various lines of work. These interactive and educational youth fairs were produced by The Musicant Group. Check out the event photo album here. 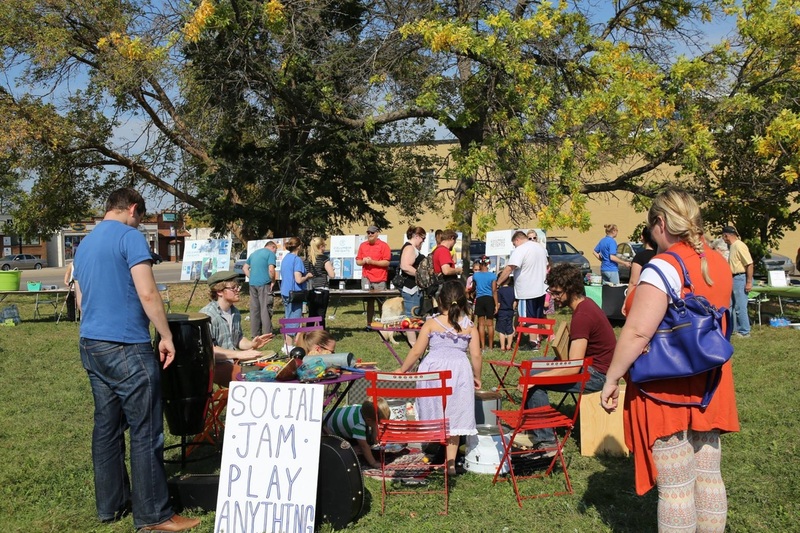 After the huge success of the first Park the Street (on Dakota Avenue), over 2,000 person open streets event was a chance for everyone to experience a future Texa-Tonka area that is even more pedestrian, bike, and business friendly. 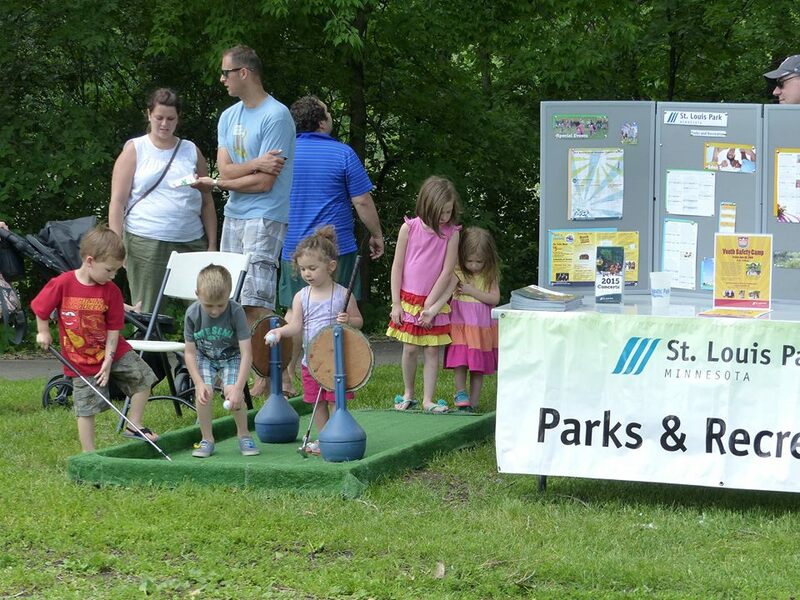 Our partner and sponsor was Health in the Park, a grassroots initiative which is creating connections, conversations, and actions to make St. Louis Park a healthier and more active community. Funding for this project is provided by Center for Prevention at Blue Cross and Blue Shield of Minnesota and produced by The Musicant Group. 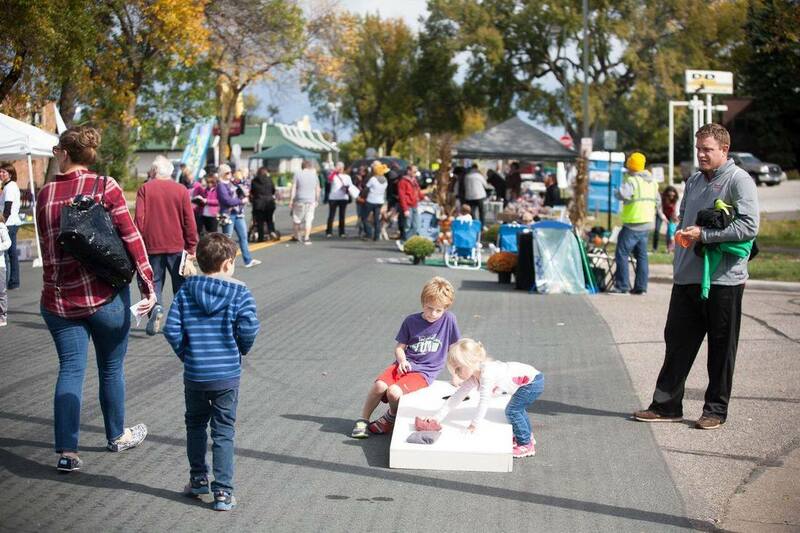 The 2015 Move and Make on Main event was a 2-block street fair showcasing the sites, sounds, tastes, and activities that can be experienced in downtown Shakopee on foot and cycle. The event was sponsored by the Main Street Shakopee district revitalization program, a program of the Shakopee Chamber and Visitor’s Bureau. The event was made possible by grant funding provided by Minnesota GreenStep Cities and produced by The Musicant Group. ​We had a variety of community booths, performances, lawn games, a pop-up bike lane, outdoor patios, local shopping, pop-up art gallery, and more! A special thank you to everyone who helped paint the Holmes Street Tunnel Mural! The Future of Fourth opened Fourth Street in downtown St. Paul from Minnesota to Wacouta to bike and pedestrian traffic only. The event demonstrated protected bike lanes on the street and showcased the development potential of Fourth through pop-up shops and placemaking activities, turning Fourth Street into a place people want to be. Additionally, the event featured arts activities, parklets, outdoor work spaces, food, and, most importantly, fun. 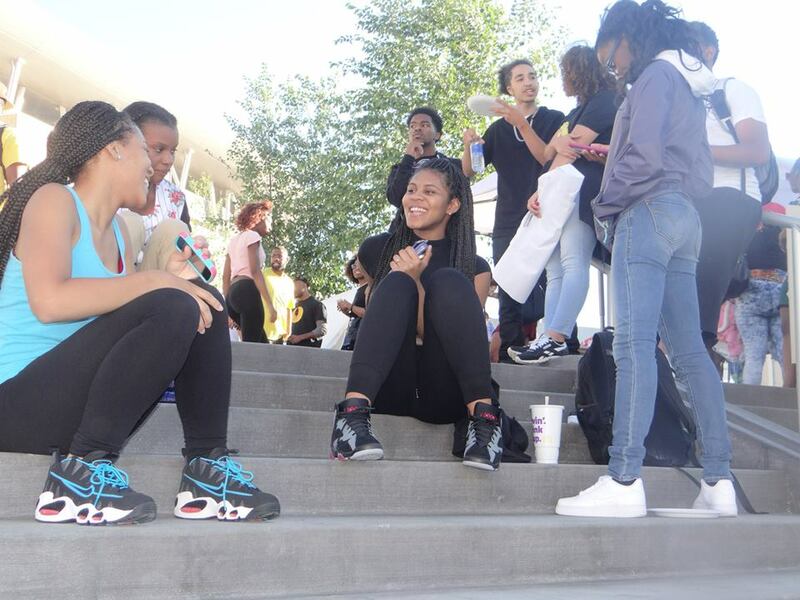 The Future of Fourth was hosted in conjunction with the annual Great River Gathering and St. Paul Riverfront Corporation’s 3rd Annual Placemaking Residency with Gil Penalosa and was also produced by St. Paul Smart Trips and The Musicant Group. The Lake Street Council, Lowry Hill East Neighborhood Association (LHENA), The Musicant Group, and local property owners transformed 29th Street by turning parking spots into a temporary public park along with installing bike parking, and a parklet to enjoy the space and community around 29th Street. Businesses at the intersection joined in, as well as the Open Streets participants, who enjoyed Lyndale Avenue being closed to car traffic. The Columbia Heights community came out to boost local business and to help gather ideas on what they want to see happen at the Gateway to the City area along Central Avenue (between 39th and 44th). The event was sponsored by City of Columbia Heights and Blue Cross Blue Shield of Minnesota and produced by The Musicant Group. The Bikes to Bakeries Day event highlighted the nationally recognized baking community and encouraged biking and walking to each respective local business and node. Bakeries and local businesses offered free samples and activities while the bikers stopped by over 15 locations throughout Southwest Minneapolis. It was sponsored by the Experience Southwest /NEHBA Business Association, with funding from the City of Minneapolis Great Streets program, and produced by The Musicant Group. The Albertville community came out on a cold winter day to boost local business, helped gather ideas and feedback on what they want to see happen at the Albertville Crossing Center and enjoyed a Social Jam Session, s'mores, fire pits, music, and more. 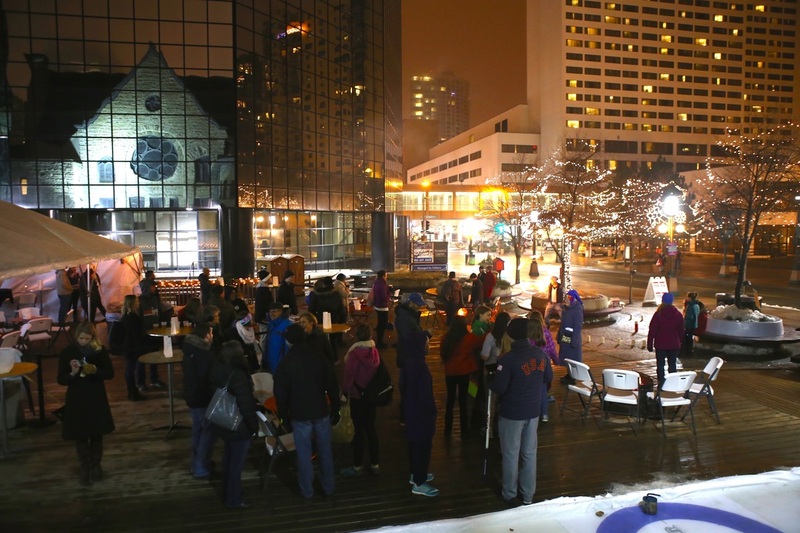 This unique outdoor winter event at a strip mall was made possible by Hempel and produced by The Musicant Group. The Musicant Group was retained by real estate development firm, The Cornerstone Group, to transform their vacant two-block development site into a European-style winter market and signature community event. The community gathered for the first ever Holiday Hot Haus event at the Piazza on the Mall for family friendly activities, food, entertainment, and a beer/wine hall on Nicollet Mall. The event also featured the first ever curling court by St. Paul Curling Club in downtown Minneapolis with free curling lessons from Olympic Medalist John Shuster and holiday films showed by The Film Society of Minneapolis-St. Paul. This holiday event was made possible by Westminster Presbyterian Church, Minneapolis and produced by The Musicant Group. 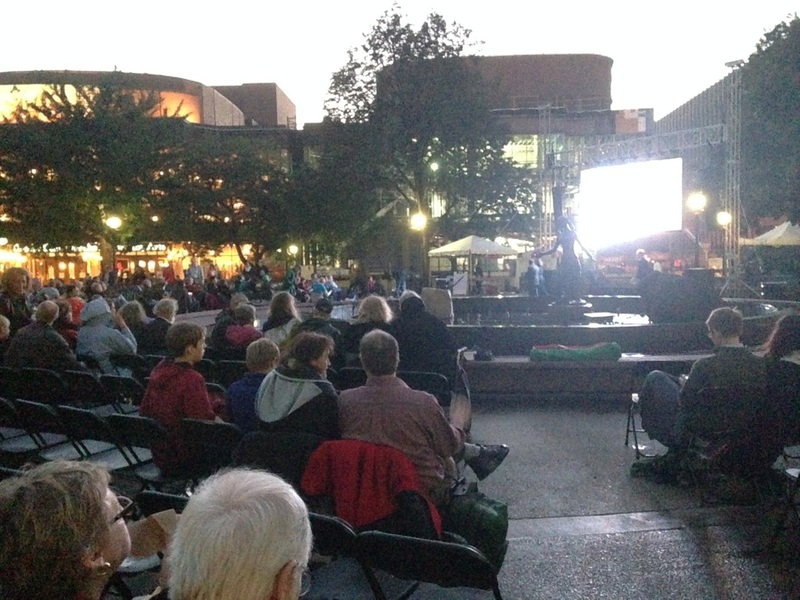 For the first time in its history, Minnesota Opera presented a free outdoor simulcast of its season-opening performance of Puccini’s La fanciulla del West on September 20 of 2014. The Musicant Group and its event partner DoGood Events, created a festive atmosphere with food, drink, and lots of interactive programming. Despite driving rain leading up to the show, we had over 750 in attendance for what will surely be a new urban tradition. Creative City Market was a free monthly experience, hosted by The Musicant Group in the heart of downtown Minneapolis, that celebrated the act of making. 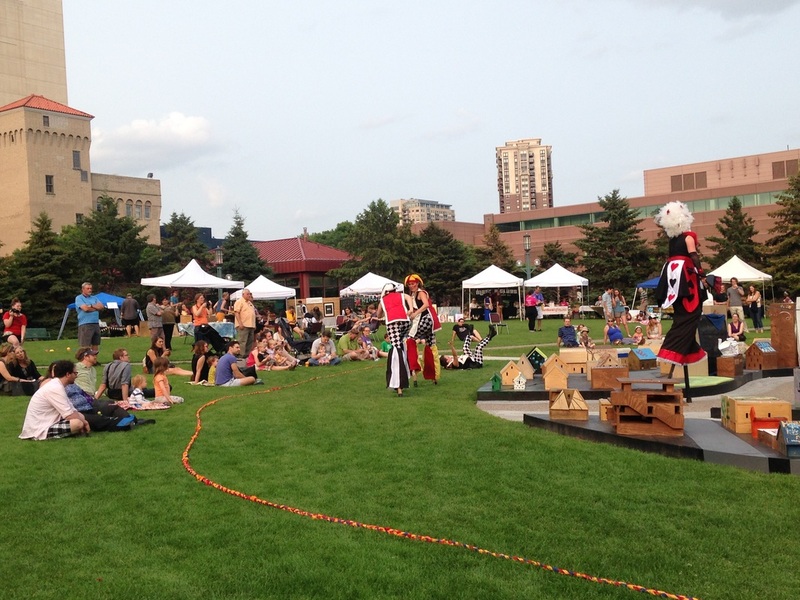 Each month the public was invited to the Minneapolis Convention Center Plaza to participate in an evening under the setting sun surrounded by MN made art, wares, and performances. To learn more about our partnership, go here. Little Box Sauna (LBS) teamed up with the 612 Sauna Society and The Musicant Group to bring the Nordic sauna experience to the Piazza on the Mall! 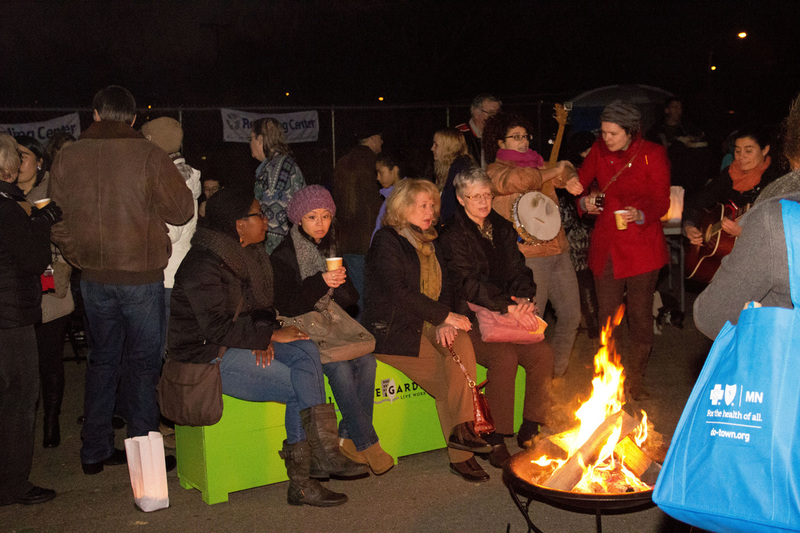 On Fridays there was special programming for the public which included campfires, live music, storytelling, a fire performance, and community singing along with the free sauna sessions. Little Box Sauna at the Piazza on the Mall was sponsored by the Westminster Presbyterian Church, Minneapolis. The Walk and Talk event was a chance to remind everyone of the historical St. Louis Park Main Street while engaging and giving the community a chance to provide feedback on the future of the Walker/Lake area during St. Louis Park High School's homecoming soccer game. Thank you to everyone who came and enjoyed a fun, fall event and provided feedback and ideas. This event was sponsored by the City of St. Louis Park, Minnesota - Government and produced by The Musicant Group. ​Check out the event photo album here. 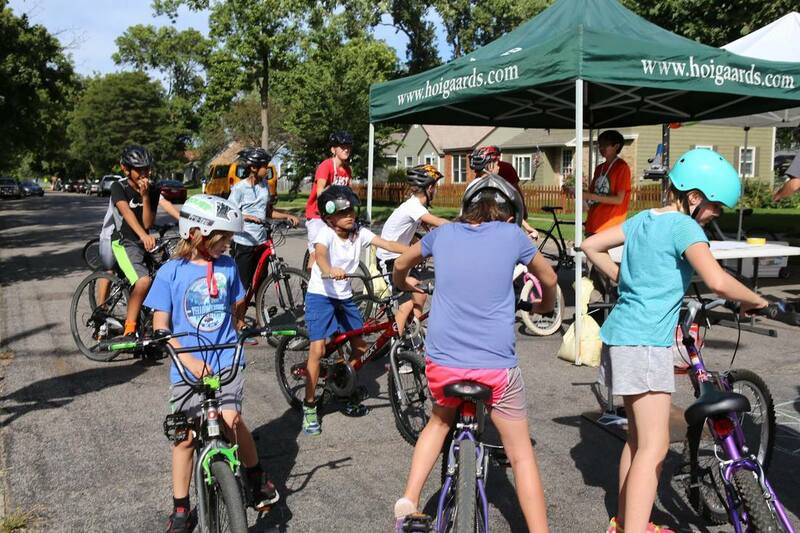 The 2016 2 Wheels on 28th event was a demonstration of the proposed 28th Street bike lane in St. Louis Park that will create a safe east to west connection for bikers going between the Texa-Tonka business area and the pedestrian bridge over Highway 100. We implemented three different types of bikeway installations over 1.5 miles! Thank you to everyone who participated and rode their bike, tested out the large bikeway demonstration, and provided feedback! The event was sponsored by the City of St. Louis Park, Minnesota - Government and produced by The Musicant Group. On December 21st, over hot chocolate, s’mores, and outdoor activities celebrating the Winter Solstice, a wide range of business, civic and community leaders joined The Musicant Group to host Pop-Ups at Central Station kick off event to create a more inviting and vibrant space for transit riders, employees, residents, and visitors to the block surrounding the Green Line’s Central Station. Central Station block is the busiest transit area in downtown Saint Paul. Over the next several months, we will host Pop-Ups at Central Station – a series of events on the Central Station block through September 2017 as the site is readied for future development. Additionally, we will make physical improvements, such as outdoor seating, landscaping, decking, and yard games, to make the block a more inviting space. 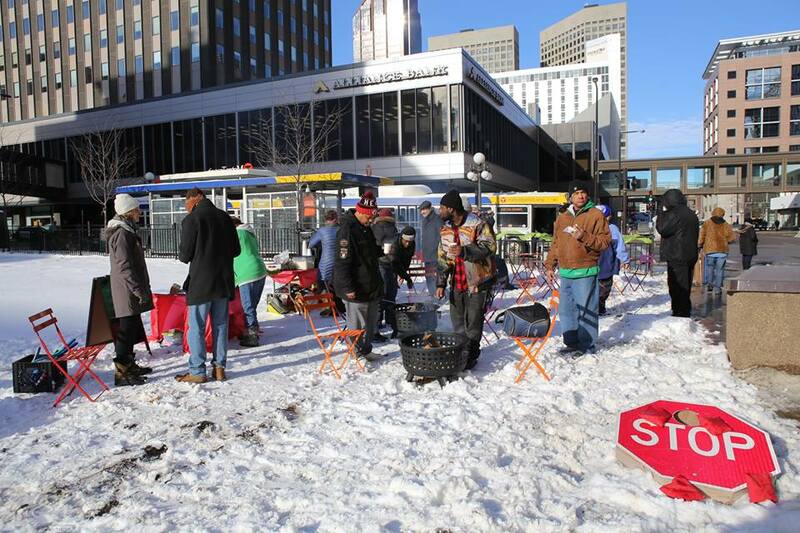 Pop-Ups at Central Station is funded by Knight Foundation in cooperation with the City of Saint Paul - Government, Metro Transit, Saint Paul Area Chamber of Commerce, Greater Saint Paul BOMA, and CapitolRiver Council, among others. 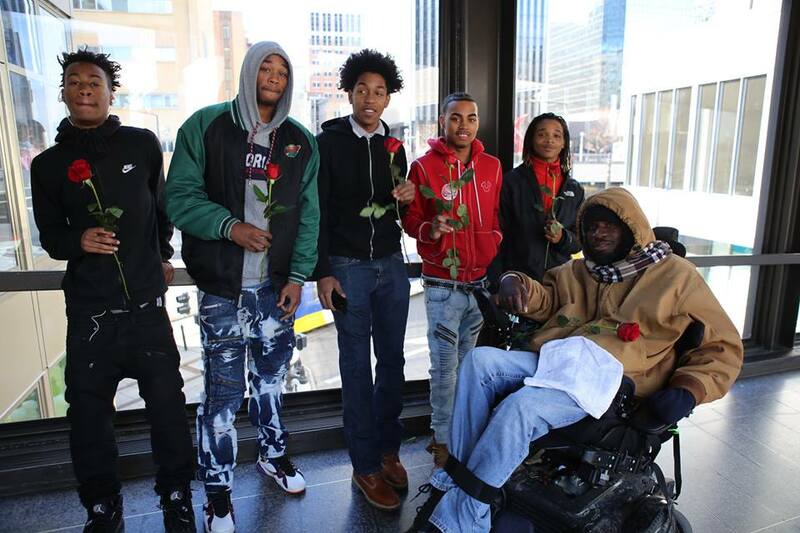 On February 14th, Pop-Ups at Central Station, hosted a Valentine's Day event with The Flower Guys flowers, Itsmarywachs music, Kerry's Donut Bites donuts, and activities in the skyway. It was a positive community gathering! Over the next several months, The Musicant Group will continue to host Pop-Ups at Central Station events and programming to create a more inviting and vibrant space for transit riders, employees, residents, and visitors to the block surrounding the Green Line’s Central Station. Pop-Ups at Central Station is funded by Knight Foundation in cooperation with the City of Saint Paul - Government, Metro Transit, Saint Paul Area Chamber of Commerce, Greater Saint Paul BOMA, and CapitolRiver Council, among others. Friendly Front Yards parade and community event was a part of the Friendly Front initiative. This initiative was created to "build community one yard at a time". The event was in partnership with the Friendly Streets Initiative with funding from Knight Foundation.